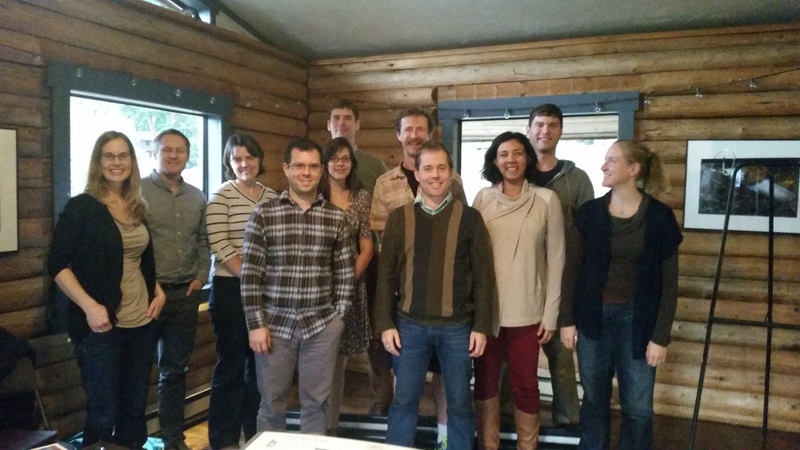 This past week, the Liber Ero fellows attended a week-long retreat on Galiano Island, British Columbia. We have two retreats a year and it is always such a pleasure to get together to talk about our research, flesh out collaborations, and socialize. Each retreat also has a training component. Past themes have included Leadership, Science Communication, and Working with Policymakers. This week, we were honoured to have the prominent environmental lawyer David Boyd go through Canadian and US legislation as it pertains to conservation. He pointed out some flaws in the legislation and explained why inaction can occur. He also had some success stories, where legal action has resulted in conservation action. One of his major issues with Canadian law is that while we have a variety of rights laid out in the constitution, Canadians do not currently have the right to a healthy environment. This includes clean air, water, fertile soil, and intact ecosystems to maintain these processes for future generations. In fact, there are communities and towns that lack access to these basic components, and wildlife species on the brink of extinction. For a country that values its biodiversity, natural resources, and wild spaces, this is truly astonishing. We ended our legal training feeling both optimistic about our ability to catalyze change and disappointed that our country does not have a stronger legal framework for environmental protection.